Without hand gestures we’d never be able to wave to friends, fist bump after our team scores or let the driver of the car in front of us know what we think of him. Gestures can be quite useful in many aspects of daily life, but how useful are they in front of a PC? This week, I tested a new way to get your hands moving at a Windows PC or Mac by using the Leap Motion Controller. It plugs into a computer’s USB port and rests by a keyboard — wherever you can comfortably gesture. It works by detecting your fingers as they move above it, tracking up to 1/100th of a millimeter of movement. This 3-inch-long, $80 accessory shipped this week to people who pre-ordered it and will be available in Best Buy starting July 28. 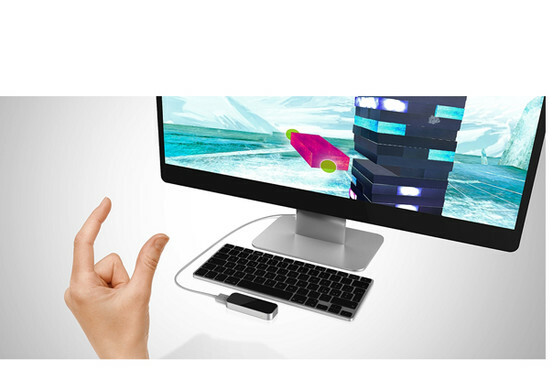 The Leap Motion Controller connects to a PC via a USB port and lets users control a machine with gestures in the air. The $1.99 Sugar Rush Speedway app is available at Leap Motion’s AirSpace online marketplace. Microsoft’s Xbox Kinect has used similar technology for years, letting people wave their hands in front of TVs to play video games, navigate screens and a variety of other things. These gestures make sense in the living room, where people can lean back on sofas to control the action on their TVs. At a desktop computer, people have a keyboard and mouse or touchpad and are sitting close enough to easily use them. So what’s the point of using gestures with a PC? 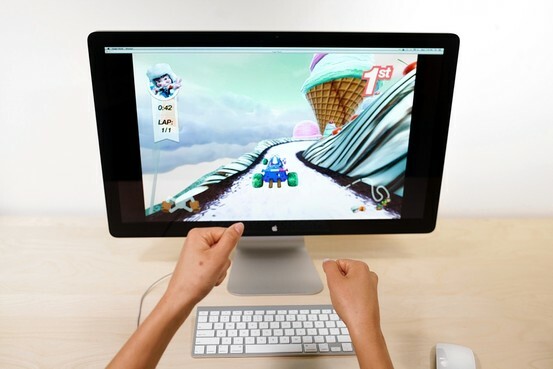 According to Leap Motion of San Francisco (no relation to LeapFrog Enterprises, the educational toy company), the Controller isn’t meant to replace the keyboard, mouse or touchpad. Rather it’s meant to improve certain functions for certain computer programs. It might be a real boon to artists looking for a new way to draw by moving their hands and fingers for precise paint strokes, and it works with other objects like brushes and pencils. Some gamers will enjoy this gadget because it makes them feel more immersed in games, and musicians can create songs by gesturing and plucking fingers in the air. The small, silver device is just hardware until you plug it into a computer and log on to LeapMotion.com/setup, where you can download accompanying software for Windows or Mac PCs. 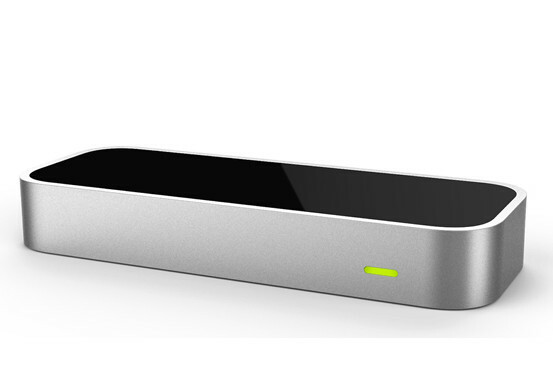 In April, Leap Motion announced a partnership with Hewlett-Packard to embed this device in computers, though it has yet to say when those will be available. In January, the company announced it will ship bundled with Asus, but that exact timing is yet to be announced. The Controller is a 3-inch device that sits on any side of a keyboard and tracks movement up to the 1/100th of a millimeter. It costs $80. Though I only used the Leap Motion Controller for a week, I found it challenging to integrate it into my regular computer routine. Its detection technology is extra sensitive, which is great for precise movements but tiring after even a short time because you must hold your hands at just the right position in the air to get them to do what you want. I installed the Leap Motion Controller on two computers, one running Windows 8 and another running the latest version of Apple’s operating system, OS X. Upon downloading the device’s software, I was directed to find apps in Leap Motion’s marketplace, which is called Airspace. It runs in a Web browser and downloads apps to a separate software program installed on the computer. 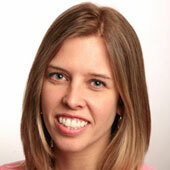 Like Amazon.com or Apple’s iTunes, Airspace saves credit-card information for one-click purchases. And it syncs downloaded apps in the cloud, so if you install your Leap Motion Controller on many machines (five per account is the limit), your apps will appear on them. As of this week, over 75 apps for Windows and/or Mac are available for download, with 70 percent available for both Windows PCs and Macs. About 30 percent are free and most cost more than apps in Apple’s iOS App Store. I got started with the free Corel Painter Freestyle app, which let me move my hand through the air to paint on a blank canvas. I changed brush size and type by lingering over a menu for each option and waiting for a circular shape to form, indicating my selection was made. Another free app called Lotus let me move both hands to create different sounds, a lot like playing a harp. One game I really liked was the $2.99 Dropchord, which started by placing my two pointer fingers out in the air above the Leap Motion Controller to create a bar stretched across a circle. I moved two fingers to move this bar, selecting circles to gain points and trying to avoid red Xs as they appeared. Club music pulsed in the background as I progressed through various levels in this game. But after just 10 minutes of Dropchord, my hands were tired. I downloaded other free games and some that cost money, including a pricey $7.99 game called Paper Football FlickIT. Cut the Rope, which is a favorite game for mobile devices, is free for Windows or Mac, but it was hard getting this game to work well because I had to have my finger hovering in the air in precisely the right place. I’ve played this game for hours on the iPad, where I simply slide my finger across the screen to cut the rope, which was a much more satisfying experience. Leap Motion offers an app called Touchless that enables gesture controls for interacting with the computer’s operating system to do nearly anything you can do with a touchscreen or touchpad. Gestures make most activities more fun — in the digital world and in the real world — but until the Leap Motion Controller becomes more deeply integrated into an operating system so it can replace a mouse or touchpad, this gadget will only sate a niche audience.